pretty confident that there is no such UN documentation generally available. 12 nautical miles. This policy needs to be fully implemented. when the terms used by some newspapers are not quite correct, e.g. > Can anyone provide me with the relevant UN documentation citation for the August 2002 Bertini Agreement, setting out the delimited seaward boundary for the Gaza Strip? TIA. > **DISCLAIMER: The opinions expressed on this list are those of the authors and do not necessarily reflect the opinions of CIESIN, its staff, or CIESIN’s sponsors. 1. In response to a request from Prime Minister Sharon of Israel to the Secretary-General to assist in addressing humanitarian needs arising from the ongoing Israeli-Palestinian conflict, as well as concerns expressed by the Quartet about the mounting humanitarian crisis, the Secretary-General appointed Ms. Catherine Bertini as his Personal Humanitarian Envoy on 7 August 2002. Ms. Bertini was asked to travel to the region to assess the nature and scale of the humanitarian crisis, to review humanitarian needs in light of recent developments, to identify what needs to be done to respond to the humanitarian situation and prevent its further deterioration, and to clarify the respective responsibilities of all actors with regard to humanitarian needs. She was further tasked to report on her observations and recommendations to the Secretary-General and, through him, to the Quartet. 2. Ms. Bertini traveled to the region from 12 to 19 August accompanied by a small team. The mission was ably supported by the Office of the United Nations Special Coordinator (UNSCO). The United Nations Relief and Works Agency for Palestine Refugees in the Near East (UNRWA) also provided significant assistance. During the mission, Ms. Bertini had the opportunity to meet with the senior leaders of the State of Israel and the Palestinian Authority, including Prime Minister Sharon, Foreign Minister Peres and Defense Minister Ben-Eliezer as well as with Chairman Arafat, Minister of Local Government Erekat, Minister of Social Affairs Al-Wazeer and Health Minister Zahnoun. She traveled to both the West Bank and Gaza where she met with a wide variety of local leaders, women’s groups, youth, business people, farmers and labour leaders and with Palestinians in their homes and places of work. She visited refugee camps, women’s centres, villages and neighbourhoods throughout the West Bank and Gaza. Ms. Bertini also met with representatives of UN agencies, NGOs, the ICRC and donors. A complete itinerary of the mission is attached as Annex A. 3. 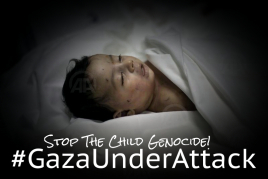 The mission concluded that there is a serious humanitarian crisis in the West Bank and Gaza. The crisis is not a “traditional” humanitarian crisis, such as those caused by famines or droughts, but is inextricably linked to the ongoing conflict and particularly to the measures imposed by Israel in response to suicide and other attacks against Israeli military and civilian targets. Unless the situation improves, the lives of Palestinians will continue to deteriorate and the humanitarian crisis will quickly spiral out of control. Conversely, if the overall environment improves sufficiently to enable a free flow of people, goods and services, the humanitarian crisis will rapidly dissipate. 4. The situation is a crisis of access and mobility. Palestinians are subject to a variety of closures, curfews, roadblocks and restrictions that have caused a near-collapse of the Palestinian economy, rising unemployment, increased poverty, reduced commercial activities, limited access to essential services (such as water, medical care, education, emergency services) and rising dependency on humanitarian assistance. The restrictions affect almost all activities, rendering most Palestinians unable to carry out any semblance of a normal life and subject to daily hardships, deprivations and affronts to human dignity. 5. Restrictions on access and mobility largely prevent travel to or from Jerusalem, Gaza and the West Bank and allow for travel abroad only with great difficulty. Palestinians, with limited exceptions, can no longer work in Israel. Within Gaza and particularly the West Bank, Palestinians are subject to a wide variety of restrictions that prevent or seriously inhibit movement and generally keep people confined to their villages or cities and often to their houses for extended periods. Opportunities to earn a living, access basic services or conduct routine business have been drastically reduced. 6. The mission observed numerous indicators of the mounting humanitarian crisis. These include a lack of money to purchase essential supplies, deteriorating health and sanitation and increasing dependency on food assistance. Currently, while malnutrition levels are increasing, some 1.5 million Palestinians of a total population of 3.3 million receive direct food assistance, a more than five-fold increase over assistance levels two years ago. The overall unemployment rate has reached an estimated 50 percent while fully two thirds of the population are now at the poverty level. Coping mechanisms, which initially consist most often of borrowing and drawing on savings, are approaching exhaustion as the economy winds down. 7. There is widespread recognition by all parties in the region of the growing humanitarian crisis. Israeli authorities have relaxed some controls by allowing more permits for work in Israel. The Palestinian Authority, UN agencies, NGOs, the ICRC and donors are reluctantly re-orienting increasing resources from development towards relief. If current conditions persist, the proportion of efforts and resources devoted to direct humanitarian assistance will have to grow significantly. 8. 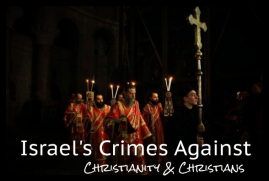 The mission obtained several commitments from Israeli authorities to address some of the most immediate constraints. These include a commitment to clear all ambulances at checkpoints in no longer than 30 minutes, establish mechanisms to permit swift transit of checkpoints by Palestinians in need of critical medical services and to ensure the regular and uninterrupted delivery of water to cities and villages. Previously, Israel had committed itself to improving the situation at checkpoints, including the deployment of more experienced Israeli Defense Forces (IDF) personnel, and full implementation of a twelve-mile fishing zone off the Gaza coast. Implementation of these five measures will save lives, provide a measure of relief and represent a glimmer of hope on an otherwise bleak horizon. It should be recognized that these are small steps forward that address symptoms rather than causes. However, their effective and timely implementation is nevertheless critical. 9. 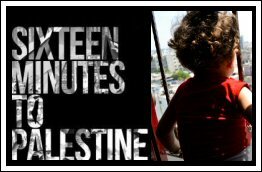 In reviewing the effects of the closure and curfew regime on the Palestinian population, it should be borne in mind that the Government of Israel maintains that all of restrictions it has imposed on Palestinians and others are intended and necessary to protect its own civilian population from further terrorist attacks. The Government of Israel also believes that the tight internal and external closures and curfews have in fact prevented a significant number of attacks inside Israel. 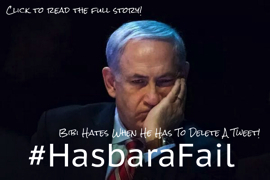 In discussions with the mission, Israeli government officials stated that, in their experience, any lifting of restrictions on movement almost immediately results in attempts to plan or carry out attacks against Israeli military or civilian targets. The Government of Israel also justifies restrictions on the movement of ambulances by citing cases in which they assert ambulances were used to transport explosives or armed men. While acknowledging the impact of the current regime on the Palestinian population and its potential to result in an increase in violence in the medium and long term, Israeli officials see it as their first priority to prevent attacks on their population today. 10. On the other hand, among the Palestinians the mission spoke with, there is a strongly held belief that many of the imposed restrictions have no discernable security purpose. Several Palestinians, including members of the Palestinian Authority, business leaders and ordinary citizens, believe that these measures are instead intended as punishment and humiliation of the Palestinian population as a whole. Some also expressed the view that the measures by the Government of Israel are intended to “break the backs” of the Palestinians in preparation for a political settlement that would otherwise be unacceptable to them. The most common examples that are given for measures that fall into this category are: numerous checkpoints that are easily circumvented on foot with heavy baggage in full view of IDF soldiers; the ” ;back-to-back” system for trucks inside the West Bank, where, according to statements made by Palestinians, often no security checks are carried out; the extensive delays or denials of access for essential supplies and services, such as ambulances and water tankers; the continuing destruction of civilian infrastructure; and extended curfews which prevent entire populations from leaving their homes. 11. Among donor countries’ local representatives, the mission found a high degree of skepticism about the necessity of a range of restrictions for the purpose of maintaining security. Several areas were mentioned where security arguments made by the Government of Israel to justify general restrictions either did not appear to be based on actual security concerns or did not result in the implementation of effective security procedures, even when donors were willing to help fund them. Donor representatives also saw a contradiction between Israeli appeals for increased international assistance to the Palestinian population and the severe constraints often imposed on assistance activities, including the movement of international personnel and essential supplies. Another concern expressed by some donors was that IDF soldiers, responsible for administering the current closure regime, apparently are not being encouraged to ease the burdens on the Palestinian population or the constraints on those trying to assist them. 12. The mission was not tasked with reviewing the measures put in place by the Government of Israel on the basis of their necessity or effectiveness for security purposes. The mission was asked to review the humanitarian situation in the West Bank and Gaza. There is a consensus among all parties, and this report confirms, that the current regime of closures and curfews is having a devastating impact on the Palestinian population, both on their economy and the humanitarian situation. 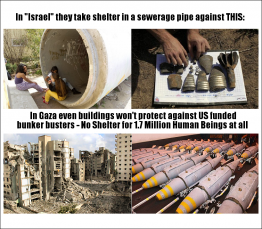 As a consequence, it is incumbent upon the Government of Israel to minimize as much as possible these adverse effects on civilians while at the same time safeguarding the security of its civilian population. In striking an appropriate balance between these sometimes competing interests, the necessity, effectiveness and proportionality of all measures taken to ensure security should be reviewed carefully and continuously. In addition, gaps between stated official Israeli policy, which is to minimize harm to civilians and to fully facilitate assistance activities, and its implementation on the ground must be closed. Finally, it must be recognized that the social and economic misery of the Palestinian people is a serious obstacle to achieving lasting peace and security. Sharply declining living conditions help destabilize the political environment and increase the sense of desperation that is so successfully exploited by extremists. 13. Israel has been imposing “closures” since the situation started deteriorating in late September 2000. There are three forms of closure restrictions: internal closure within the West Bank and Gaza, closure of the border between Israel and the Occupied Palestinian Territory, and closure of international crossings between the Occupied Territory and Jordan and Egypt. Israel has steadily tightened each form of closure, particularly since the violent events of March and April 2002, resulting, according to the World Bank, in the most severe and sustained mobility restrictions since 1967. Stricter enforcement and an increase in checkpoints, roadblocks and border controls have confined Palestinians to progressively smaller areas. 14. The IDF currently holds positions encircling most Palestinian cities and has established an extensive system of checkpoints and roadblocks, including trenches, earth mounds and concrete blocks. The number of manned checkpoints varies but generally is in the range of 120 in total, with 80 to 90 in the West Bank alone. A recent map of checkpoints in the West Bank is attached as Annex B. The number of additional unmanned roadblocks is estimated to be around 200. The level of internal closure is distributed unevenly across the Occupied Palestinian Territory. The areas which are typically most affected in the West Bank are the Tulkarm/Jenin/Qalqiliya crescent in the north-west, Nablus, Ramallah/Al-Bireh in the central West Bank and Jericho, Bethlehem and Hebron in the south. In Gaza internal closures primarily affect north-south travel, at times creating three semi-isolated enclaves (Gaza City, the Jalabalia area and Rafah/Khan Yunis). 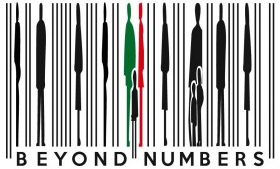 The external and internal movement of goods has been further affected by the introduction in May 2002 of the “back-to-back system” in the West Bank according to which goods have to be offloaded from incoming trucks and then re-loaded onto local trucks at eight checkpoint locations near major Palestinian cities. Previously the ” back-to-back” system had only been in place for the transport of goods from Israel to the West Bank and Gaza. 15. In addition to the closures between population centers, curfews have been imposed in most major cities and towns of the West Bank (and some areas of Gaza), at some stage directly affecting approximately 600,000 people according to UNSCO estimates. The curfews are often in force round-the-clock and lifted only periodically, resulting in some West Bank locations being under curfew for 90 percent of the time. 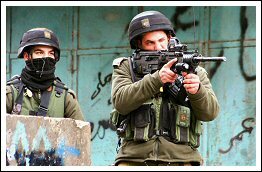 During curfews, the population is not permitted to leave their houses and IDF soldiers are authorized to shoot-to-kill any violators. In addition to ambulances, which are generally permitted to operate during curfews, a limited number of permits have been granted to municipal workers conducting emergency repairs. However, with the exception of certain refugee camps and other areas the IDF is less likely to patrol, the entire civilian population essentially remains under house arrest during curfews and commercial activities come to a halt. 16. In some cases, these periods can last for more than one week without interruption. For example, when the mission visited Nablus on 17 August, the curfew was lifted for the first time since the previous Friday, 9 August. Curfews are also imposed on larger villages on a regular basis, such as the curfew that was imposed on Beit Furik, a village near Nablus, about one hour after the mission departed at around 12 p.m.
17. One factor that has made curfews particularly disruptive and dangerous to the civilian population is the unpredictability of the liftings and the lack of reliable information regarding their exact timing. Announcement made by the IDF are often not heard in all areas under curfew and residents are forced to rely on media reports or informal sources (e.g. bakeries which are often told of liftings in advance) to learn when curfews are to be lifted and for how long. 18. While a total of 55 localities in the West Bank remained under total or partial curfew by mid-August 2002, the curfew regime has recently been relaxed in several cities. Curfews were lifted entirely in Qalqiliya and Hebron. In Jenin, Ramallah and Bethlehem the curfew has been lifted for 12 hours daily, except for Fridays. However, Tulkarm and Nablus remain under severe curfew, with sporadic lifting for several hours occurring every few days. In Nablus, the curfew has only been lifted for a total of 52 hours over a period of 62 days. 19. As a consequence of the restrictions on movement, most Palestinians remain confined to their own villages and towns, unable to access any other areas for work, education, to purchase goods, receive medical care or any other purposes. Since May 2002, Palestinians in the West Bank can travel between cities and between villages and cities only with a permit issued by the Israeli authorities that allows travel between 5 a.m. and 7 p.m. In addition, Palestinians can no longer travel from the West Bank or Gaza to Israel or East Jerusalem without special permits. These permits remain largely unavailable to ordinary Palestinians and are only issued for one month at a time. Even those Palestinians who have special permits are not allowed to drive to Israel or East Jerusalem in their own vehicles which requires separate driving permits that are no longer available. Travel time for all Palestinians has increased exponentially, in many cases by several hours for short distances. 20. Movements from villages to surrounding fields have become increasingly difficult. The IDF has been destroying or blocking numerous side roads which farmers used to reach their fields. The mission for example had to bypass several trenches and earth mounds during a visit to olive groves near Beit Furik. 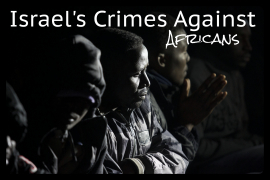 An additional factor that has affected access to agricultural areas is settler violence. Farmers working in fields and orchards near settlements (which are typically built on or near mountaintops and overlook large areas) or near bypass roads have been shot at and stoned. Significant areas of agricultural land have therefore become inaccessible to them. 21. Transporting goods, including water, raw materials, vegetables, fruit and other products, within the West Bank and Gaza has also become increasingly cumbersome and in some cases impossible. Travel distances, time and cost for commercial transportation have been rising steadily. Checkpoints and roadblocks that prevent transit force Palestinian trucks to take dirt roads, significantly increasing travel time and maintenance costs. Except for certain food transports and municipal vehicles, trucks generally have no access to any areas under curfew. 22. The mission spoke with the chief executives of two major Palestinian companies about the difficulties they were facing on a daily basis. One stated that he spends most of his time lately on logistical efforts. His company’s storage and maintenance cost had doubled since additional storage facilities had to be established and trucks were forced to travel on dirt roads for most deliveries. Half of the company’s staff currently sleeps on the factory premises since internal closures prevent them from reaching home or because their commuting time has multiplied, in some cases from 20 minutes to more than three hours. The other executive recounted how even sophisticated equipment often had to be transported to remote locations on foot or by mule. 23. Certain measures taken by Israel over the past few months have resulted in minor improvements in the movement of goods to Gaza and access by a small number of people to Israel. The Karni commercial crossing from Israel to Gaza has been reopened to a limited amount of containerized traffic. Inside the Gaza Strip, the Abu Houli checkpoint that had been disrupting the movement of people and goods since May 2002 has been open more frequently. 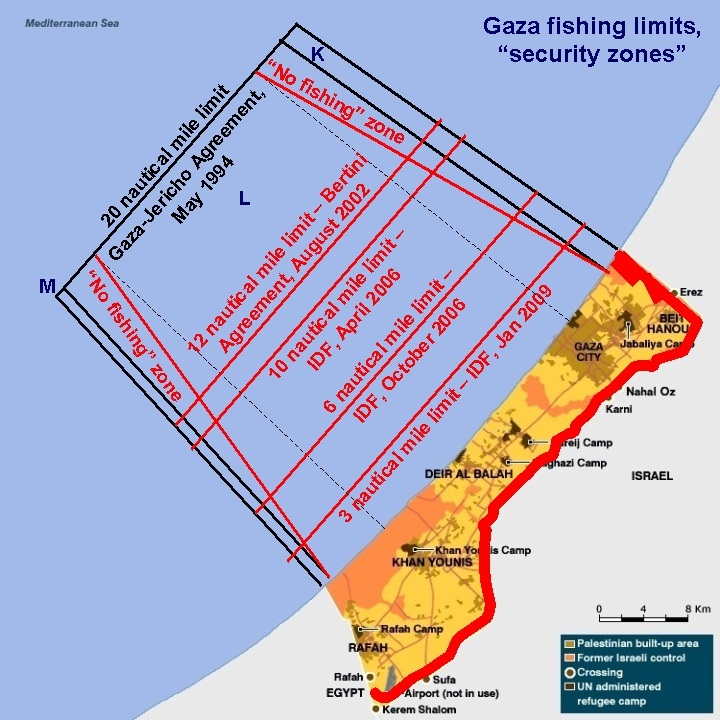 Another measure taken by Israel was the announced extension of the fishing zone off Gaza to 12 miles which still must be effectively implemented. 24. The Government of Israel has also increased the number of available work permits for Palestinian laborers, particularly those crossing from Gaza into Israel. According to UNRWA, on average approximately 8,000 Palestinian workers have recently been granted permits on a daily basis as compared to an average of 2-3,000 permits in the first half of 2002. In addition, Israel has increased the number of permits for industrial parks that are located close to Gaza and the West Bank. According to Israeli authorities, Israel intends to increase the number of permits for the Erez industrial park from 3,000 to 7,000 in the near future. Also mentioned was that an additional 5,000 permits have been issued to tradesmen and a further 3,000 to people working in settlements. Israel intends to increase the total number of permits gradually, depending on security conditions. The average number of permits for workers in Israel that was issued before September 2000 was 55,000. 25. The regime of closures and curfews over the past 23 months has had a cumulative and devastating impact on the Palestinian economy. The most significant effect of this economic collapse on the humanitarian situation has been a steep decline in income levels and purchasing power. 26. The economic decline has been driven by a rapid rise in unemployment in the private sector. During the last quarter of 2000, about 100,000 jobs in Israel were lost according to World Bank estimates, including tens of thousands of workers who had worked in Israel without permits. 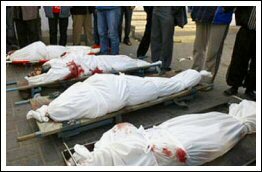 An additional 60,000 jobs inside the West Bank and Gaza were lost by the end of 2001 as demand collapsed and businesses laid off workers. In addition to the reduction in permits to enter Israel, stricter controls on routes to Israel and the settlements have discouraged the large number of non-permit holding workers who, according to the World Bank, accounted for more than half of the Palestinians working in Israel and the settlements before September 2000. The decrease in remittances from Palestinian workers in Israel, whose wages are significantly higher than in the West Bank and Gaza, has depressed overall purchasing power and employment inside the West Bank and Gaza. In addition to these job losses, more than 120,000 additional people have joined the working-age population since September 2000. 27. By the end of 2001, the World Bank estimated unemployment at 26 percent compared to ten percent in late 2000. According to recent UNSCO estimates, overall unemployment rates have doubled since then, reaching 50 percent during the second quarter of 2002. In addition, a large percentage of the labor force relies heavily on day labor and is deprived of their income during periods under curfew. 28. The closure and curfew regime has also resulted in an almost complete cessation of productive activity in the main West Bank centers of manufacturing, construction, commerce and private and public services, which, according to UNSCO estimates, account for at least 75 percent of the goods and services produced in the West Bank. UNSCO also estimates that income losses to date for 2002 alone are approaching $1 billion, with losses since September 2000 at $3.3 billion. The chart attached as Annex C illustrates the direct correlation between per capita income and the number of annual closure days in effect since 1994. 29. The impact of recent events on agricultural production, which is a source of main and secondary income to a large portion of the rural population, has also been severe. In addition to physical destruction estimated at $167 million and extensive water shortages, the closures have been preventing farmers from pruning, harvesting, processing and marketing a variety of crops. The orange harvest in Gaza, for example, was almost entirely lost because no exports were allowed until the oranges were no longer marketable. A total collapse of the agriculture sector would also have a significant impact on food security. As described in paragraph 54, rural areas already show higher levels of acute malnutrition than urban areas. 30. The level of poverty in the West Bank and Gaza has multiplied over the past two years. In September 2000, the World Bank estimated that 21 percent of the population lived below the poverty line (defined as less than $2 consumption per person per day). By January 2001, the poverty ratio had risen to 33 percent. Data collected by the Palestinian Central Bureau of Statistics (PCBS) in January and February of 2002 suggests that poverty levels have doubled since then, rising to 66.5 percent (57.8 percent in the West Bank and 84.6 percent in Gaza). 31. At the same time as poverty rates have increased threefold, there has not been a general decrease in prices. Despite an overall decrease in demand, supply has also decreased in many areas due to market disruptions caused by access restrictions. In addition, the price structure in both the West Bank and Gaza remains heavily influenced by prices in Israel, resulting in an environment where prices remain high but incomes have collapsed. 32. From a humanitarian perspective, the most devastating consequence of the closure regime is that large parts of the civilian population are neither able to access nor be provided with the most basic services. In part, this has been the result of the widespread loss of income. An increasing portion of the population is simply no longer able to afford basic services or to meet basic needs. The closures also have a more direct impact on access to basic services. They physically prevent people in need from reaching services, for example patients with chronic diseases who can not travel to towns and cities to receive treatment. At the same time, the civilian population is often cut off from essential supplies and services that can not reach them, for example patients in need of medicine and villages that rely almost exclusively on water tankers during the summer months. The services most affected have been health, education, food, and water and sanitation. 33. Access restrictions continue to prevent many Palestinians in need of medical treatment from reaching health services. This is especially the case for populations under curfew and the more than 60 percent of the population in the West Bank that lives in rural areas. They need access to the hospitals and other secondary and tertiary health care facilities in towns and cities, both in emergencies and for regular treatment, such as dialysis and chemotherapy. Many hospitals have reported a steep decline in access to services. For example, St Luke’s Hospital in Nablus has seen a 49 percent decline in general practice patients, a 73 percent decline in specialty services and a 53 percent decline in surgeries. UNRWA has reported decreases in access to preventive services, including a 52 percent decrease in women attending post-natal care. According to the Ministry of Health (MoH), school health programmes have declined by 60 percent. Medical personnel have also been facing serious difficulties in reaching their workplaces, resulting in non-attendance rates of up to 40 percent in some areas. 34. The extensive delays and denials of access at checkpoints for ambulances and people in need of urgent medical care have been widely reported. The mission saw long lines of vehicles which included ambulances at many checkpoints it passed. According to the Union of Palestinian Medical Relief Committees (UPMRC), these delays and denials have resulted in the birth of an estimated 39 children at checkpoints. B’Tselem has documented numerous cases in which the IDF has prevented sick and wounded from crossing checkpoints, in several cases resulting in the death of those being held up. The Palestinian Red Crescent Society (PCRS) and UPMRC have reported more than 600 cases in which their ambulances have been denied access. Often ambulances are unable to reach remote areas due to waiting periods of up to several hours at each checkpoint. Patients are often forced to leave ambulances, subjected to intrusive searches and required to walk across checkpoints, including women in labour. 35. In order to mitigate the effects of closures, the MoH and other health care providers have tried to decentralize specialized services as much as possible, for example through mobile clinics or by increasing the number of available dialysis machines and relocating them to more remote areas. While some of these measures have helped increase access in certain areas of the West Bank and Gaza, they are extremely costly and not sustainable over the long term. The movement of mobile clinics has also been obstructed at checkpoints. A representative of a leading international medical NGO told the mission that their teams are turned back at checkpoints 50 percent of the time. When they are permitted to pass, medical staff are often forced to carry their equipment over checkpoints. Since March 2002, internal closures have brought the mobile clinics UNRWA had developed after September 2000 to a virtual standstill. 36. The import and distribution of medical supplies continues to be hampered, both upon entry into Israel or the Occupied Palestinian Territory and within the West Bank and Gaza. Certain raw materials required by pharmaceutical companies have been banned. Medical and other humanitarian supplies are subject to extensive delays at ports of entry in Israel, Jordan and Egypt. The head of UPMRC told the mission that two of the organization’s ambulances had been held up at the border for more than seven months. Medical equipment from Sweden with a value of $20,000 had to be sent back after its was denied entry. The Minister of Health of the Palestinian Authority stated that 30 new ambulances in Jordan and Egypt were awaiting clearance by Israeli authorities. Within the West Bank – and despite assurances given by the Coordinator for Government Activities in the Territories that essential services such as health would not be hindered – the MoH has been forced to enlist the support of UN agencies and international NGOs to transport medical supplies from central warehouses to more remote locations because Palestinian MoH workers have been denied access to these areas. 37. 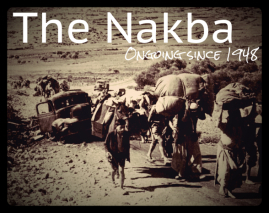 An example of the difficulties people in villages face was a man who approached the mission for help in Beit Furik. His two daughters, who were seriously ill, urgently required special milk products from Nablus and medicine form Tel Aviv. Because of the internal closures, their father was unable to travel the less than 10 kilometers to Nablus to buy the needed milk. He could also no longer order the required medicine from Israel. The mission asked an international UN (WFP) staff member to buy the milk for him and return to Beit Furik the same afternoon. He was accompanied by the head of the local branch of the Palestinian Agricultural Relief Committees (PARC). After waiting for two hours at the checkpoint just outside Beit Furik on their way back from Nablus, the international UN staff was allowed to proceed while the Palestinian was denied access to his village where a curfew had been imposed in the meantime. 38. There is growing concern among health professionals that immunization stocks and vaccination campaigns are inadequate. Immunization campaigns can only be carried out intermittently. The access restrictions and the sharp increase in home deliveries have also affected Hepatitis B vaccinations and phenylketonuria (PKU) tests which screen for two diseases for which the timing of diagnosis and treatment is crucial to prevent mental retardation in children. The PKU screening tests should be performed within seven days of birth. Under the closure regime, infants often either can not be tested at all or the transfer of tests and results between patients, laboratories and clinics is disrupted. The Hepatitis B vaccinations should be given in three doses at birth, one month and six months. 39. Increasingly, lack of income has become one of the main reasons why families lose access to medical care. A study conducted by PCBS more than one year ago showed that one third of families did not obtain needed medical care for financial reasons. In a PCBS survey in July 2002, 76.5 percent of households that were not able to access health services cited lack of resources as a major cause. UNRWA has reported an 18.6 percent increase in the number of refugees using its free health care facilities in the West Bank, indicating that alternatives are not available or that the refugees can no longer afford private medical care. 40. The internal closures have had extensive negative effects on education, mainly due to restrictions on the movement of teachers and students. 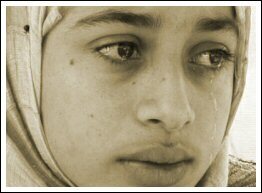 UNICEF estimates that during the 2001/2002 school year more than 600,000 (61 percent) of the 986,000 children in the West Bank and Gaza were unable to attend school on a regular basis. Teaching time has also been reduced because of sharp declines in teacher attendance. UNRWA schools in Gaza have faced particular difficulties, as almost 1,000 of the Agency’s education personnel live in the intermittently isolated southern regions of the Gaza Strip. During a visit to a “Children’s Parliament” in Gaza City, the mission was told by the children that the delegates from southern parts of Gaza were able to attend for the first time since September 2000. UNRWA’s education programme in the West Bank, which includes 95 schools, has also been severely affected during the 2001/2002 school year, with 72,571 teacher days being lost, compared to 5,585 in the previous school year. In April 2002, 76 percent of the teaching staff were absent and 66 percent of school days were lost. Several UNRWA schools sustained damage because they came under fire or were used as temporary detention centers. 41. While no unified examinations at the primary school level could be held at the end of the 2001/2002 school year, last year’s examinations showed a marked deterioration in children’s achievement levels, particularly in numeracy and literacy. The overall success rate decreased by more than 20 percent in both mathematics and Arabic language. Given the extensive disruptions during the 2001/2002 school year it can be assumed that these levels have deteriorated further. There is also increasing concern about the number of drop-outs in the coming school year. The impediments to access and the high adult unemployment rate may force more children to leave school to supplement family income. Before September 2000, the rate of ten to 14 year-olds employed in the West Bank was at 0.6 percent. Under current circumstances this rate is likely to multiply. 42. Access to food has become more and more difficult as the ability of families to purchase food has been severely curtailed. While this is primarily caused by families’ lack of money to buy food, shortages of certain types of food due to market disruptions have also been reported. According a recent survey conducted by Johns Hopkins University and others and funded by USAID, more than half the Palestinian population reported having to decrease food consumption. The primary reasons cited were lack of money (65 percent) and curfews (33 percent). Fifty-three percent of households said they had to borrow money to purchase food (88.8 percent in Bethlehem). About 17 percent of households were forced to sell assets to buy food, with rates highest in Gaza City and Khan Yunis. Thirty-two percent of all households reported buying less bread, potatoes and rice. Households are also buying less higher priced food items, such as meat, fish and chicken. 43. According to the same survey, extensive market disruptions have resulted in shortages of high protein foods such as fish, chicken and dairy products among wholesalers and retailers in the West Bank and Gaza. Fifty-two percent of wholesalers and 48.3 percent of retailers also reported a shortage of infant formula. In the West Bank, survey respondents said food shortages were caused by a combination of road closures, checkpoints, curfews and military incursions. Shortages in northern Gaza were primarily due to border closures that seal the Gaza Strip off from Israel and the West Bank while central and southern areas were more or less equally affected by border closures and internal closures. 44. Water and sanitation services required for maintenance of daily needs and basic health have been affected by the closure regime in several ways. The most direct impact relates to water supply and solid waste disposal. Collecting and disposing of solid waste has been particularly difficult in areas where garbage trucks are unable to move around freely, including towns and cities under extended curfews and areas where several villages are serviced by a small number of trucks. The collection and disposal of solid waste has also been problematic in the Gaza Strip where the landfill for Gaza City, which is located south of the by-pass leading to Netzarim settlement, has been out of reach for extended periods. As a result of the restrictions on garbage trucks, solid waste is often disposed of in the open, inside populated areas. 45. Potentially catastrophic from a humanitarian perspective are the severe water shortages experienced in many rural areas throughout the West Bank. Especially during the summer months when cisterns run dry, an estimated 300 localities depend largely on water delivered by private and municipal water tankers. Water tankers are subject to extensive restrictions on movement imposed by checkpoints and roadblocks throughout the West Bank. In some cases, water tankers are not permitted access to villages for several days. They also are often not permitted to refill in urban areas during curfews. Preliminary findings from an ongoing water and sanitation survey by the Palestinian Hydrology Group shows that 24 of 27 surveyed villages experienced difficulties related to water and sanitation as a result of curfews and closures. The survey also shows that water and sanitation related diseases have occurred in 12 of these 27 villages. 46. When the mission visited Beit Furik, a village less than 10 kilometers southeast of Nablus, it had not received any tanked water for nine consecutive days since tankers had not been allowed access to the village. Before this period, only a fraction of the required water supply of 30-50 truckloads per day had been delivered. According to statements made by villagers, attempts to reach springs in areas surrounding the village have been stopped by IDF patrols and villagers have on occasion been forced to discard water they had collected. The lack of sufficient water supplies in the village has already resulted in the loss of thousands of chickens, sheep and agricultural production. 47. 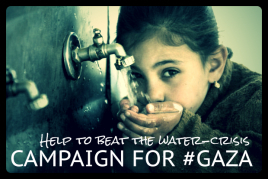 An additional cause for water shortages in certain rural areas is actions taken by Israeli settlers. According to the Palestinian Hydrology Group, Israeli settlers in one case cut off water pipes which served seven surrounding villages. Other cases in which settlers have interfered with the water supply for West Bank villages have been documented by B’Tselem. 48. As a result of increasing transportation costs and cut-offs, the average price for tanked water has risen considerably, by up to 80 percent in certain West Bank locations. The higher cost of water is making it more difficult for families to meet their basic domestic and vital needs. Urban areas also continue to experience water shortages. In some case, municipalities are unable to import spare parts for well pumps or pumps have to be shut off because of fuel shortages. 49. During the mission’s visit to the West Bank, a major concern raised by farmers, local officials and NGO representatives was the potential loss of the olive harvest which is due to begin in October. Olive harvests follow a two-year cycle and this year’s olive harvest is expected to yield high levels of production. Under current circumstances, many farmers will not be able to harvest olives and produce and market olive oil. 50. The main constraint, as in most other areas of employment and production, is access. Farmers are unable to access their fields because of blocked roads, including dirt roads that have been dug up by the IDF, threats and violence from nearby settlers, and new requirements for permits that in some cases are needed to reach fields on the other side of by-pass roads. Once olives are harvested, they typically have to be transported to the nearest olive press in neighboring villages, ideally on the same day they are harvested to prevent a rise in the acidity level that will render them unsuitable for oil production. Once the olive oil is produced, farmers and merchants will need access to towns and villages to market and buy the oil. 51. Unless the closure regime in the West Bank changes significantly before October, the movements of people and goods required to harvest, produce and market olives will be curtailed so severely that most of the income farmers derive from olive oil production will be lost. One quarter of the Palestinian agricultural sector is dedicated to olive production. In addition, the number of people dependent on revenue from agricultural production has increased substantially since workers have lost their jobs in Israel and the settlements. Without the income from the sale of olive oil, a large portion of the rural population will be even less able to afford basic goods and services or to pay off their rising debts. 52. Before summarizing the main indicators of a mounting humanitarian crisis, it should be noted that the population in much of the West Bank and, to a lesser extent, in Gaza had reached a standard of living comparable to other middle-income countries, including a sophisticated health care system and a literacy rate of 98 percent. 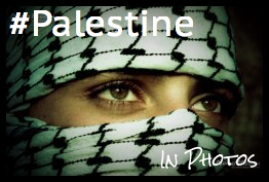 The Palestinian economy had also begun an economic recovery in 1998 that came to an abrupt halt in September 2000. Donor disbursements since 1993 had amounted to a total of $4.4 billion, resulting in one of the highest levels of per capita official development assistance anywhere in the world ($195 per person per year). The value of this enormous collective effort is in danger of evaporating if the situation does not improve in the near future. 53. Preliminary results of the nutritional assessment conducted by Johns Hopkins University and others indicate a substantial increase in the number of malnourished children over the past two years, with 22.5 percent of children under five suffering from acute (9.3 percent) or chronic (13.2 percent) malnutrition. According to PCBS surveys, the level of acute malnutrition in 2000 was 1.4 percent and the level of chronic malnutrition was 6.2 percent. 54. The preliminary rates are particularly high in Gaza with the survey showing 13.2 percent of children suffering from acute malnutrition, more than three times the rate in the West Bank (4.3 percent). 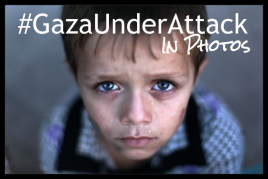 The rate of chronic malnourishment in Gaza (17.5 percent) is five times higher than in the West Bank (3.5 percent). Non-urban areas show higher rates of acute malnutrition, suggesting that the traditional food-producing areas are facing significant food security problems. Chronic malnutrition, on the other hand, is more prevalent in urban areas. 55. Given the difficulties faced by the population in accessing health services and medicines, a steady increase in mortality rates and spread of diseases should be expected. There is also rising concern about the spread of diseases such as diarrhea and insect born diseases as a result of water contamination, lack of garbage disposal and the reduced coverage of vaccination programmes, especially for children under the age of five. For example, some 600 cases of shigellosis (bloody diarrhea) have been registered in the Nablus Governorate since July 2002. 56. The Johns Hopkins University survey found that the rate of anemia in Palestinian children under five has reached 19.7 percent (20.9 percent in the West Bank and 18.9 percent in Gaza). Anemia is caused by a deficiency of iron, folic acid and dietary protein and can lead to impaired learning and growth development in children, low birthweight infants and premature deliveries, and decreased immunity from infectious diseases. 57. Lack of access to health services is also resulting in higher rates of infant and maternal mortality although exact overall figures have not been reported. According to UNRWA, the number of stillbirths in the West Bank increased by 31 percent between September 2000 and December 2001. According to UNFPA, unattended home deliveries have increased from three percent to 30 percent and the percentage of births attended by a trained professional has decreased from 97.4 percent to 67 percent. 58. An analysis of the ways in which Palestinian households have been coping with prolonged closure and reduced income over the past 23 months shows that the humanitarian crisis is likely to deepen rapidly in the very near future. Long-term effects on the ability of the population to re-enter the development process are also becoming increasingly likely. Surveys conducted in Spring 2001 by Bir Zeit University and PCBS and the Johns Hopkins University survey in Summer 2002 show that most coping strategies adopted are unsustainable in the long run and have severe long-term repercussions on households’ ability to sustain themselves. They either reach intrinsic limits or result in a reduction of the productive capacity of the household. In both surveys, approximately half the respondents said they had to borrow money to purchase food. Most borrowing is done informally, from family member and local shops and retailers. In Spring 2001, only five percent borrowed from banks or other financial institutions. About 17 pe rcent of households had to sell assets to buy food (2002) and around 20 percent said they had to sell jewelry or other personal effects (2001). 59. Recent surveys of West Bank villages conducted by Oxfam and its partners, and the mission’s interviews in both the West Bank and Gaza indicate that the networks of support that have enabled households to cope have started breaking down. More and more people have exhausted their savings. Retailers, including shopkeepers and water providers, are no longer able to give credit to poor families, depriving the population of essential supplies and in many cases the means to make a living. Increasingly poor friends and families can no longer afford to provide support to other vulnerable member of their communities whose debts have been rising. Lack of money has also reduced the ability of farmers to purchase basic supplies, including seeds and water. international NGOs, which have progressively increased their presence since September 2000. 61. Donors have adjusted their programmes in view of the emergency situation and have increased their budget support to the Palestinian Authority, financed job creation and welfare programmes and increased their contributions to other emergency relief. More than 80 percent of disbursements in 2001 were devoted to budget support and emergency relief, compared to less than 10 percent during the previous year. At the same time, support for growth-oriented infrastructure and capacity building projects decreased significantly. 62. Since the primary causes of the humanitarian crisis are loss of income and an inability to access essential services and supplies, the emergency response has focused on four main areas of intervention: food assistance, cash assistance, employment generation, and emergency measures to deliver essential services, especially in the health and education sectors. 63. UNRWA has been providing humanitarian assistance (food and cash) to a total of 216,000 poor refugee families (990,000 persons), representing 67 percent of the refugee population and a more than nine-fold increase in UNRWA’s hardship caseload compared to the year 2000. Likewise, the World Food Programme has increased its beneficiary caseload from about 150,000 before September 2000 to 500,000 people today. This means that almost 1.5 million people (or 45 percent of the total population) currently receive some form of direct food aid. WFP and ICRC, which also provides direct food assistance, target the non-refugee population while UNRWA programmes primarily support refugees. 64. WFP intends to deliver 70,340 metric tons by the end of 2002, 61,250 metric tons of which consist of wheat flour (49,000) and rice (12,250). UNRWA’s emergency food deliveries also consist primarily of flour and rice. Since the Palestinian economy is highly dependent on cereals imported from Israel, WFP and UNRWA do not expect these commodities to have a disincentive effect on domestic food production. 65. ICRC provides food assistance to a total of 300,000 beneficiaries through direct food assistance from WFP stocks for 30,000 families in closed villages in the West Bank (and in ad hoc cases in the Gaza Strip) and a voucher programme that was launched on 13 August 2002. The voucher programme supports 120,000 people in the nine largest urban centers in the West Bank. Each family will receive vouchers of up to $90 a month which they can exchange for food and basic non-food items in previously selected shops, providing a stimulus to local businesses. The approved list of items contains products which must be procured locally from rural communities (e.g. fresh food and olive oil). 66. Direct cash assistance still represents a small portion of overall assistance activities. The social assistance budget of the Ministry of Social Affairs (MOSA) for 2001 included $47 million for cash assistance to 45,000 families. However, lack of funds has caused the MOSA to be several months in arrears on these payments. UNRWA requires almost $20 million in 2002 to provide cash assistance to several thousand destitute families in Gaza and the West Bank (also see paragraph 63 above). NGOs have also been used by donors to channel cash assistance to poor families. 67. Another form of financial assistance has been provided through UNRWA’s Microfinance and Microenterprise Programme which provides loans to small business owners and micro entrepreneurs. The programme has been severely affected since September 2000. In 2001, the value of its lending fell to 52 percent of the previous year. In addition, many of its clients have been unable to repay their loans. 68. UNRWA’s emergency employment generation programmes, which require about $56 million in 2002, benefit workers who are hired directly by the Agency and indirectly through community-based projects and private-sector contracts. NGOs have also played an effective and growing role in employment generation, for example through the World Bank’s Palestinian NGO Project and the Palestinian Agricultural Relief Committees (PARC) which has played a pioneering role in rural areas. 69. The two main service providers in the West Bank and Gaza, the Palestinian Authority and UNRWA, have tried to maintain previous levels of service delivery as much as possible. In order to reach areas cut off from essential services, they and other service providers had to adopt extraordinary measures, including a “decentralization” strategy pursued by the MoH that aimed at empowering local health officials, redeploying health equipment to smaller towns and rural areas and the creation of mobile clinics. UNRWA adopted similar strategies and for example hired large numbers of additional teaching staff in remote locations. These measures have not been able to compensate for the sharp drop in overall service provision which has resulted from access constraints and a decline in available resources. As a result, a significant increase in demand for health services has been accompanied by severe cutbacks in supply and availability, despite increased efforts by international agencies, NGOs and donors. Emergency supplies of water for villages that depend on local water tankers have generally not been available. 70. Since September 2000, it has become increasingly difficult for both international and Palestinian aid organizations and service providers to provide assistance to the Palestinian population. At the same times as critical needs have multiplied, they have faced a widening range of access and other operational constraints that have made it more and more difficult to meet these needs. The constraints have resulted in a major increase in operating costs as additional international staff had to be deployed and other costs have escalated. They have also had a disproportionate impact on organizations that have to rely heavily on Palestinian staff, most notably the Ministries of the Palestinian Authority, UNRWA and Palestinian NGOs. Organizations with higher ratios of international staff are able to operate with relatively fewer difficulties but nevertheless face enormous obstacles. 71. Constraints put in place since September 2000 affect Palestinian staff of the UN, other aid organizations and the Palestinian Authority most severely. They are subject to the same restrictions as other Palestinians, including requirements for permits to enter Israel or East Jerusalem from the West Bank and from Gaza and, in many cases, for permits to move around within the West Bank and Gaza itself. UNRWA, which employs a total of 11,000 Palestinians in the Occupied Palestinian Territory, requires 383 permits for staff from the West Bank to access its field office in Jerusalem. After years in which only a very small number of such permits were denied on security grounds, UNRWA experienced great difficulties in securing permits during most of 2002. In a positive development in mid-August, UNRWA received an additional 140 permits, allowing its local staff members from the West Bank to report to work in Jerusalem. Thus far the Agency has received a total of 247 permits of the 383 required to ensure the normal functioning of its West Bank operation. Permits have also been issued to several international NGOs, allowing some key Palestinian personnel to work in Jerusalem. However, permits are only valid for one month (compared to three months before September 2000) and permit-holders are not allowed to drive to Israel or East Jerusalem in their own vehicles. In addition, the travel time and cost for Palestinian staff has increased exponentially. 72. In Gaza, all of UNRWA’s 36 permits for local staff to enter Israel (and the West Bank) were revoked after September 2000. UNRWA must now apply for one-day entry permits on an exceptional basis. No driving permits are available so the local staff must rely on international drivers. In addition, 765 field staff members and 26 percent of Gaza headquarter staff members have been affected by internal closures in Gaza and are unable to reach their normal duty stations for much of the time. These restrictions have eased somewhat since the opening of the coastal road and the Gush Qatif crossing. 73. Freedom of movement for UN and other aid vehicles and staff continues to be constrained by checkpoints and roadblocks at which vehicles face long delays and are sometimes refused entry. Access by humanitarian convoys and medical teams (including ambulances) to areas under curfew is frequently denied. In addition, UN and other aid personnel have been subject to abuse, physical harassment, arrest and violence at checkpoints and elsewhere in the West Bank. UN personnel, including international staff without diplomatic status, continue to be subject to a full search of vehicles and baggage at the Erez crossing between Gaza and Israel. When the mission returned to Israel from Gaza, one of the mission’s three vehicles was subjected to search and was held up at the Erez crossing. This incident occurred despite prior written clearance for all vehicles from Israeli authorities. 74. Trucks of aid organizations are only permitted to enter and circulate within the West Bank upon prior clearance with the IDF District Coordinator’s Office (DCO) and only if driven by an international driver. UNRWA trucks can only circulate between UNRWA warehouses in Jerusalem and its programmes in the West Bank with international drivers and Jerusalem identification card holders. WFP had to mobilize a fleet of eight trucks with international drivers and support teams from the Swedish Rescue Service Agency. This short-term arrangement has been extended until October 2002 to help WFP transport its food supplies and also to assist other organizations which do not have access to international trucks with international drivers. In mid-August 2002, WFP for example made the truck fleet available to assist the MoH in transporting 26 tons of medical supplies from the MoH central warehouse in Ramallah to Tulkarm and Bethlehem. 75. Humanitarian and other cargoes for aid organizations and the Palestinian Authority continue to experience significant delays and, in some case, are denied entry to Israel or the Occupied Palestinian Territory. Delays are particularly severe at the port of Ashdod, where average transit time for containerized cargo is more than two weeks, and at Allenby Bridge, the main entry point from Jordan. In many cases, demurrage and storage charges that are incurred while cargoes are being inspected and cleared have exceeded the value of the goods being imported. 76. Another constraint affecting the operations of several UN agencies and international NGOs is that Israel has denied entry visas to staff or contractors of Arab origin or nationalities. International aid agencies urgently require Arabic speaking staff as they expand their presence. Even regular UN staff members have been subject to this restriction. In some cases, Arab nationals are given visas to enter Israel but are not permitted to enter the West Bank or Gaza. 77. The European Union has documented 19 cases since June 2001, of which 13 occurred since the end of March 2002, in which international consultants and experts who were contracted for relief and development projects have been denied entry to Israel at Ben Gurion Airport or Allenby Bridge. In the most recent case, three Italian humanitarian workers were refused access at Ben Gurion Airport on 5 August 2002 despite having cleared their travel with the Israeli embassy in Rome. The same workers had been denied access on 13 July 2002. 78. One issue that was consistently mentioned by donors, UN agencies and other aid organizations was the existence of a wide gap between official Israeli policy and its implementation on the ground. The mission raised this concern with Israeli officials at the highest levels. 79. In principle, the Government of Israel has agreed on several occasions to facilitate assistance activities by all international assistance providers and to minimize negative effects of its security measures on the civilian population. This includes commitments and policies to allow free access for staff and supplies and to improve the situation at checkpoints, including the passage of Palestinians requiring medical treatment. As mention above, the Coordinator for Government Activities in the Territories has repeatedly given assurances that essential services such as health would not be hindered. 80. Despite these assurances and commitments, there has been little improvement on the ground over the past 23 months. On the contrary, as the conflict has intensified new constraints have been added and many existing restrictions have been tightened. The entry of international staff into Israel has proven to be extremely difficult, as evidenced by the multiple rejections of aid workers contracted by the EU. An even more serious concern is access problems to and within the West Bank and Gaza which have been described above. Even international staff are frequently turned away by IDF soldiers at checkpoints despite previous clearance with Israeli authorities. 81. A persistent problem since September 2000 has been the lack of cooperation from the IDF, particularly at the operational level and among soldiers and mid-level officers on the ground. It is well known and has been recognized by Israeli authorities that many soldiers stationed at checkpoints are relatively inexperienced and have little training in interacting with the civilian population or aid personnel. Recent government reports have recommended that urgent measures be taken to place more senior reservists at checkpoints to decrease levels of harassment and the number of violent incidents. An additional concern raised by many UN agencies and donors is that their regular interlocutor, the Office of the Coordinator for Government Activities in the Territories, while technically part of the IDF, is unable to ensure the effective implementation by IDF operational personnel of most of the measures it agrees to. 82. Throughout the current crisis, the Palestinian Authority, particularly its Ministries of Health, Education and Social Affairs as well as the municipalities, have tried to continue to deliver a minimum level of services, despite damage to their infrastructure and severe impediments to the movements of their staff and supplies. However, the Palestinian Authority has suffered from an acute fiscal crisis since September 2000. Its monthly requirements under an austerity budget amount to $90 million per month, of which about $55 million is needed for salaries. Despite generous contributions from EU members and members of the Arab League, and its own monthly revenues of about $15 million, the Palestinian Authority currently faces monthly budget shortfalls of $30-40 million and is barely able to pay for its salaries and utilities. This has already resulted in a marked decrease in the delivery of services, including cash assistance to destitute families. 83. A major reason for the budget crisis is that Israel, which currently collects about $30 million in taxes (VAT, custom duties and purchase tax) every month on behalf of the Palestinian Authority, has been withholding the amounts it collects, arguing that the funds may be used for corruption and in support of terrorism if released. Israel recently agreed to release three tranches of $15 million each. Since remittances by Israel were suspended in December 2000, the cumulative amount of funds held by Israel is estimated by the IMF to be more than $600 million. 84. An additional consequence of a complete collapse of the Palestinian Authority would be the loss of employment for some 120,000 government employees. Although not its primary purpose, budget support to the Palestinian Authority has in effect been the largest emergency employment scheme. A significant reduction in the number or level of government salaries would significantly increase poverty and vulnerability levels, particularly in Gaza. 85. Recent news reports and discussions with UN agencies indicate an increasing breakdown of law and order in the Occupied Palestinian Territory. Most uniformed Palestinian police have stopped patrolling the streets. Since the IDF does not engage in regular law enforcement activities, this vacuum has already resulted in an increase in economic crimes. As we know from many other crises, a further breakdown of law and order will exacerbate the humanitarian condition of the most vulnerable and undermine the international community’ ;s ability to assist them. 86. A further weakening or complete collapse of the Palestinian Authority therefore would have a major impact on the humanitarian situation. Essential services in several critical areas, including health, education, water, electricity and law enforcement, could no longer be provided, leaving a wide gap that other assistance providers will be unable to fill. The loss of income for a large percentage of the population would further increase poverty, with the consequences described elsewhere in this report. And finally, the effect on the nation-building and peace process would have indirect and potentially far reaching consequences for the humanitarian situation that are difficult to predict. 87. UNRWA, as the second largest service provider after the Palestinian Authority, has played a crucial role in the current crisis, responding to the emergency needs of hundreds of thousands of refugees and a significant number of non-refugees. Its mandate encompasses a total of 1.5 million refugees in the Occupied Palestinian Territory of which 42 percent live in refugee camps. Education and health services normally account for 70 percent of the Agency’s budget and have resulted in high literacy, health and other human development indicators among the refugee population. Most of the refugees had become self-reliant before the current crisis, with only 7.4 percent of the refugee population in the Occupied Territory receiving food or other direct assistance from UNRWA. 88. The mission was encouraged to learn that the Government of Israel fully recognizes and supports the positive and important role of UNRWA. Both Prime Minister Sharon and Foreign Minister Perez stressed the importance of UNRWA and assured the mission of their full support for its activities. They specifically advised against creating new UN organizations or structures and encouraged the mission to find ways of strengthening existing ones. 89. Since the current situation is not a traditional humanitarian crisis, more extensive analysis and strategic planning is required to determine what types of assistance are appropriate. One of the most consistent messages the mission heard from almost all Palestinians it spoke with was that they would rather not receive charity. Many of them said they wanted jobs instead of handouts and dependency. Some expressed their concern that an increase in direct food assistance would rob people of their sense of dignity and hope. Other forms of assistance, particularly employment opportunities and education, were thought to have the opposite effect. 90. There were also some voices that pleaded for additional food assistance, for example a group of women in Rafah, one of the poorest areas in Gaza. The mission also heard that many children in Rafah save their summer camp lunch for family members in more urgent need of food. When asked why their families do not have enough food, the women responded that most of their husbands had lost their jobs and that they could no longer afford to buy the food that is available in the market. 91. As the recommendations included in part E. of this report suggest, one of the main challenges for future assistance activities will be to strike the right balance between various forms of assistance. On the one hand, there is a strong desire among most people who have been impoverished by the recent developments to be given opportunities to support themselves instead of receiving “handouts”. On the other hand, there are urgent needs, including nutritional needs, among families whose support networks and coping mechanisms have been breaking down. Some of these needs could be met through coupons that would enable destitute families to purchase supplies available in the markets. In other cases, ways will have to be found to make supplies available that currently can not reach retailers and customers due to the closure regime. 92. Discussions among the World Bank, donors and UN agencies are ongoing about the appropriate balance between three main forms of intervention that will help address the dramatic drop in purchasing power: food assistance, cash assistance and employment generation programmes. A comprehensive review of employment programmes is currently under way and will be completed in September 2002. This review will assist in formulating an overall strategy that will take the factors mentioned above into account. 93. An additional and fairly unique feature of the current situation is that, in September 2000, the Occupied Palestinian Territory was in the midst of a major international development assistance effort. As a consequence, a strong development community and mechanisms, which were led by the World Bank and several large bilateral donors, were in place in September 2000. Even under current circumstances, the development actors and the Palestinian Authority are trying to continue their development efforts as much as possible while at the same time ensuring emergency assistance and sufficient budget support. Achieving the right balance between development assistance and emergency assistance has presented a major challenge to the donor community and international organizations active in the region. This challenge is closely linked to the question of what types of assistance are appropriate and most effective in the current circumstances. 94. Representatives of Palestinian and international NGOs as well as Palestinian Authority officials expressed concern that Palestinian structures, coping mechanisms and organizations that have grown over many years should not be replaced or weakened by an increase in international assistance. The strong Palestinian NGO and community network, local market and credit mechanisms, and local food production were emphasized as structures that should be protected and strengthened. 95. Numerous coordination bodies have been established to bring together UN agencies, UNRWA, UNSCO, the World Bank, donors, and international and national NGOs as well as Israel and the Palestinian Authority. The focus of these entities, at least until recently, had remained on development activities that have stalled due to the intensified conflict. Considerable efforts have been made to re-orient existing capacities and create new arrangements to also address the emerging humanitarian crisis. However, progress has been uneven and has yet to achieve coherence. consistency of assistance to refugees and non-refugees based on need is ensured. 97. The volatile situation and the nature of the key players on the ground are unique and do not lend itself to traditional humanitarian coordination solutions. UNRWA is the major UN provider of humanitarian assistance to refugees. It has also expanded its humanitarian assistance to reach some non-refugees over the last year. Other agencies, especially WFP, have become more active in recent years. UNSCO has a coordination mandate, originally more political/donor relations in focus. International NGOs are increasing their presence while the Palestinian Authority and Palestinian NGOs remain major channels of assistance. The ICRC has begun a large-scale assistance programme in addition to its traditional protection activities. Donors and the World Bank play a pre-eminent role in coordination fora and consultations. 98. The mission consulted extensively with each of the above actors on coordination issues. While there was no broad agreement on the most suitable structure, there was a clear consensus that humanitarian coordination, especially for the current emergency phase, needs improvement. The mission’s recommendations in this regard are included in part E.
99. The mission was asked to clarify the responsibilities of all parties with regard to humanitarian needs. These responsibilities are specified in international humanitarian law. 100. Israel’s obligations in the Occupied Palestinian Territory are set out in the Geneva Convention relative to the Protection of Civilian Persons in Time of War, of 12 August 1949 (the Fourth Geneva Convention), to which Israel is a High Contracting Party. Palestinian residents of the Occupied Territory are “protected persons” under the Convention and Israel, which currently exercises effective control over the Occupied Territory, is considered the Occupying Power. While the Government of Israel has not accepted the de jure applicability of the Fourth Geneva Convention to all territory occupied since 1967, it has stated that it has undertaken to comply with the ” humanitarian provisions” of the Fourth Geneva Convention. All other High Contracting Parties, as well as the International Committee of the Red Cross, maintain that the Fourth Geneva Convention does apply de jure to the Occupied Palestinian Territory. Both the General Assembly and the Security Council have also stated on numerous occasions that the Fourth Geneva Convention is applicable in the Occupied Territory. 101. The Fourth Geneva Convention includes detailed provisions regarding the Occupying Power’s obligation to ensure the well-being of the civilian population. Israel has the affirmative obligation to ensure, to the fullest extent of the means available to it, adequate supplies of food, medicines and other basic needs for the population under its occupation. Israel also has certain obligations to permit the free passage of relief consignments, including medical supplies, food and other items intended for certain vulnerable groups. However, the Fourth Geneva Convention makes clear that relief from other sources, including other States and humanitarian organizations, in no way relieves Israel of any of its affirmative obligations to ensure adequate supplies of food, medicines and other basic needs. 102. Both the ICRC and some donors have insisted that external assistance should not be seen to relieve Israel of its basic obligations as the Occupying Power. For example, the ICRC stated that “[n]either the fact that the ICRC conducts a relief operation in order to respond to urgent humanitarian needs, nor legitimate security concerns of the authorities relieve the Occupying Power from its duties to ensure a sufficient supply for the daily life of the whole population.” Some donor representatives have indicated their countries’ unwillingness to bear what they regard as the financial burden of Israeli occupation and the current closure regime. They were also concerned that the provision of humanitarian assistance may help ease the political pressure on Israel to reconsider its current policies. 103. Several Palestinians the mission spoke with requested that the number of international staff in the West Bank and Gaza be increased to ensure better protection of the civilian population against violations of international humanitarian and human rights law. They cited the presence of international volunteers as a factor that had often made a major contribution to their safety and protection. 104. The UN currently has very limited capacity to help ensure the safety and protection of civilians, with a permanent presence of international staff that is limited to Jerusalem, Gaza and Jenin. It should be recalled in this context that in the late 1980s, the Secretary-General decided to deploy additional international UNRWA staff with a specific protection mandate. Until the signing of the Oslo Accords, these additional staff members ” helped to defuse tense situations, avert maltreatment of vulnerable groups, reduce interference with the movement of ambulances, and facilitate the provision of food and medical aid during curfews”. They also assisted the Commissioner-General in reporting to the Secretary-General on protection concerns on a regular basis. 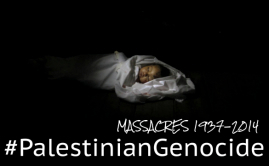 The Secretary-General then reported to the Security Council in accordance with Security Council resolution 681 (1990). UNRWA recently deployed a small number of “Operation Support Officers” ; who perform certain of these functions, in particular facilitating access for UNRWA’s assistance. However, they do not appear to have a specific protection mandate and their activities are limited to UNRWA and therefore mainly concern refugees. Palestinian ambulances will wait no more than 30 minutes at any checkpoints. Effective mechanisms will be put in place to ensure that Palestinians seeking critical medical services (e.g. giving birth, dialysis, chemotherapy) can quickly pass all checkpoints. Problems related to water deliveries to Palestinian towns and villages will be addressed to ensure that daily water deliveries in proper quantities can be supplied by Palestinian water tankers. Israel will fully facilitate the assistance activities of international agencies, with particular reference to UNRWA. Israel agreed to review and strengthen the liaison arrangements between international agencies and the IDF to facilitate assistance activities. Israel will improve the situation at checkpoints, including the deployment of more experienced IDF personnel. 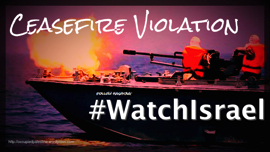 The fishing zone for Palestinian fishing boats off the Gaza coast is 12 nautical miles. This policy needs to be fully implemented. 107. Other areas in which Israeli authorities promised to take action were the need to enable olive farmers access to their fields, an increase in shipments at the Karni commercial crossing, an increase in the number of work permits for workers in Israel (including overnight workers), a review of port and border delays of humanitarian goods, entry and visa denials for humanitarian workers, and improvements in access for UN staff members. 108. Each of the commitments made by the Government of Israel to the mission and on previous occasions to the UN and others should be fully implemented in an effective and expeditious manner. 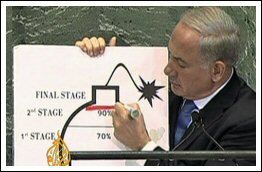 In addition, any gaps between official Israeli policy and its implementation should be closed. 109. This report fully acknowledges the need of the Government of Israel to protect its civilian population from further attacks by Palestinian groups, while recognizing that every effort should be made to minimize the adverse effects of all security measures on the well-being and survival of the Palestinian population. 110. Health : In addition to the commitments made with regard to the transit of patients and ambulances through checkpoints, Israel should ensure: (i) full access by all people in need of medical services to areas in which they are provided; (ii) the free flow of all medical supplies, including medicines, vaccines and medical equipment, to and within the Occupied Palestinian Territory, including when they are imported or transported by the Palestinian Authority or Palestinian NGOs; and (iii) that all efforts are made to further reduce waiting time for ambulances to the absolute minimum required for security purposes, if possible even below the agreed 30-minute maximum. 111. Education : Israel should ensure that all children, students and teachers have full access to schools and universities throughout the West Bank and Gaza. In particular, it should take all measures to protect children from exposure to military conflict on their way to and from school. 112. Water and Sanitation : In addition to the commitments made with regard to the movement of water tankers, Israel should (i) ensure free access by rural communities to alternative water sources they are entitled to access and (ii) provide adequate protection to rural communities and water infrastructure. 113. Israel should ensure the movement of goods and people to allow trading, farming and other forms of economic activities inside the Occupied Palestinian Territory. In particular, the free movement of workers and Palestinian trucks should be made a priority, including a review of the “back-to-back” system within the West Bank. 114. Transshipment operations at the Karni commercial crossing and other crossings between Israel and Gaza should be streamlined and expanded to allow all commercial and humanitarian goods to enter and leave Gaza in the quantities and with the speed required. 115. Israel should gradually increase the number of permits for Palestinian workers to allow them to work in Israel and Israeli settlements. 116. Israel should take immediate measures to allow farmers to harvest olives and to produce and market olive oil. In particular, Israel should provide adequate protection to rural communities and enable farmers to have free access to their fields. 117. 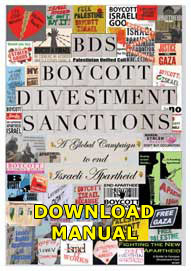 In addition to the general commitment made to facilitate the activities of international assistance providers, Israel should: (i) accelerate the import procedures for aid supplies through all international entry points, including supplies intended for the Palestinian Authority and Palestinian NGOs; (ii) ensure full access by aid workers to the West Bank and Gaza, including international aid workers of Arab origin; (iii) ensure freedom of movement for all aid workers, including Palestinian UN and NGO staff, and for aid supplies to and within the West Bank and Gaza; (iv) improve access of aid workers and supplies to areas under curfew; and (v) ensure full respect of the privileges and immunities of all UN staff and assets. 118. To avoid the consequences on the humanitarian situation described in this report, Israel should urgently accelerate the release of funds it holds on behalf of the Palestinian Authority. 119. The Palestinian Authority should ensure with all means at its disposal that its supplies and assets, including ambulances and other means of providing services, are not used for unlawful activities or contain any contraband. It should prosecute and effectively bring to justice any personnel and other individuals suspected of being involved in criminal activities. 120. The Palestinian Authority should develop, in full consultation with relevant parties, an emergency management plan that will ensure that all available resources are properly prioritized and used in an effective and transparent manner. 121. In view of the growing humanitarian crisis, a UN inter-agency technical assessment mission should be deployed as soon as possible, preferably during the second half of September or early October. The mission should be led by OCHA at a senior level and include participation from the main operational agencies active in the region. The mission should assess needs and required assistance for refugees and non-refugees on a sectoral basis, with particular emphasis on the water, health, education and food security sectors, and should propose specific measures required to address the rising rates of malnutrition and anemia (e.g., changes in the food basket, expansion of voucher programmes, school feeding and iron fortification). It should make recommendations with regard to humanitarian contingency planning, and identify gaps and additional resource requirements. OCHA must review this assessment carefully to ensure that any additional resource requirements that may be appealed for only include those measures critical to the current needs. 122. In close consultation with UNSCO, the World Bank, Palestinian and international NGOs, as well as the relevant Ministries of the Palestinian Authority, the technical assessment mission should also make specific proposals on how coordination mechanisms could be strengthened. The proposals should also include a suggested mechanism for high-level and operational coordination with the IDF, in addition to existing arrangements with the Coordinator for Government Activities in the Territories. Assistance activities should avoid disrupting market mechanisms and local production. To the extent possible, assistance supplies should be procured in the West Bank and Gaza, for example locally produced olive oil. Direct food assistance should be limited to special hardship cases and other limited areas of intervention, e.g. school feeding. An expansion of employment generation, cash assistance and microcredit programmes should be considered. After an initial evaluation, an expansion of the ICRC or other voucher programmes to other areas in the West Bank and to Gaza should be considered. Urgent measures that would provide direct financial assistance to families in rural areas should be evaluated to prevent further asset depletion and ensure access to basic supplies. Palestinian NGOs should be effectively included in coordination mechanisms and their activities generally should be protected and supported. 124. UN agencies and donors should continue to assist the Palestinian Authority and Palestinian NGOs in the import of essential supplies, including vaccines, ambulances and other medical supplies, and in the delivery of essential services. Donors should continue to provide budgetary support to the Palestinian Authority. 125. Depending on full support of the donor community, additional international staff should be deployed on a temporary basis to the Occupied Palestinian Territory to facilitate access and enhance protection capacity. Special care should be taken not to displace any Palestinian staff from functions they can continue to perform. For the purposes of enhancing the protection of civilians, the deployment of international staff to locations in southern Gaza and in the West Bank (e.g. 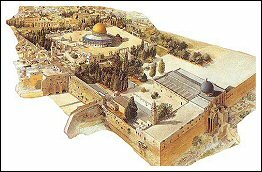 Ramallah, Nablus and Hebron) should be considered. 126. UNSCO should put in place mechanisms that permit the comprehensive monitoring of, and appropriate follow-up regarding, compliance by Israel and the Palestinian Authority with commitments made to the UN with regard to the facilitation of assistance activities. Whenever possible, a joint approach should be taken towards any new restrictions on the delivery of assistance. 127. There are currently a variety of groups, meetings and discussion fora among donors, UN agencies and NGOs. The mission did not evaluate these groups in detail, but would suggest that they may be part of a future review. To enhance the coordination of humanitarian assistance, particularly for the non-refugee population, the mission recommends that UNRWA, as the lead operational agency in the region, chairs a group at a senior level that is charged with action-oriented humanitarian coordination. OCHA should provide the secretariat for this group. Existing sectoral working groups and operations rooms, led by agencies and NGOs, should be strengthened and closely linked to this group. 128. UNRWA, which plays a crucial role in the current crisis and enjoys the full support of both the Government of Israel and the Palestinian Authority, is facing a severe funding shortfall of $90 million (52 percent) under its 2002 Emergency Appeal. Donors should urgently increase their contributions to ensure that UNRWA can implement its assistance programmes. 129. Several other UN agencies and aid organizations, which have been expanding their programmes since September 2000, also remain severely underfunded and should be supported. Annex D provides an overview of the current funding status of the main UN agencies active in the region. – UNRWA Commissioner General, Mr. Peter Hansen, to join delegation. – Visit to Beit Furik; meeting with Mayor Atef Abu Akram and village council; meetings with shop owners, families and farmers; briefing by Palestinian Agricultural Relief Committee (PARC); visit of WFP food for work and land reclamation program. 2002 Emergency Appeal : UNRWA has received pledges of approximately $82.5 million against a total requirement of $172.9 million under its 2002 Emergency Appeal, leaving a funding shortfall of $90 million or 52 percent. This deficit is being felt acutely in the Agency’s emergency job creation, food assistance and direct relief responses. The emergency job creation programme is experiencing a shortfall of some $40 million, or 72 percent of the requested amount. The shortfall in the emergency food assistance programme is approximately $15 million, or 57 percent of the requested amount, and the shortfall in the emergency education programme is approximately $3 million, or 41 percent of the requested amount. Of the pledged total of $82.5 million, only $46.9 million have been received. Regular Programme : In addition to its 2002 Emergency Appeal, UNRWA’s regular programmes for more than four million refugees in Lebanon, Syrian Arab Republic, Jordan as well as in the West Bank and Gaza face a deficit of $24.9 million. 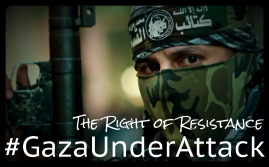 UNRWA’ s budgeted requirements for 2002 are $301.8 million while projected income for the year is $276.9 million. So far, the Agency has received $184.5 million against total pledges of $271.3, leaving $86.8 million in donor pledges unpaid. In addition, UNRWA’s funding gap with respect to capital projects in 2002 is in excess of $40 million. In some cases, the above emergency requirements are in addition to regular programmes the agencies conduct in the Occupied Palestinian Territory. Other agencies, including UNDP, require additional funding but have not issued separate emergency appeals. Preliminary Findings of the Nutritional Assessment and Sentinel Surveillance System for West Bank and Gaza, 5 August 2002. Even under regular circumstances, the availability of renewable water resources in the Occupied Palestinian Territory (115 cubic metres per capita per year) is among the lowest in the world. This information was given to the mission by the mayor of the village and confirmed by international UN staff. Acute malnutrition, or wasting, reflects inadequate nutrition in the short-term period immediately preceding the survey. Chronic malnutrition, or stunting, indicates a state of longer-term undernutrition and can lead to serious growth and development delays. See the Report submitted to the Security Council by the Secretary-General in accordance with Resolution 672, 31 October 1990 (S/21919).